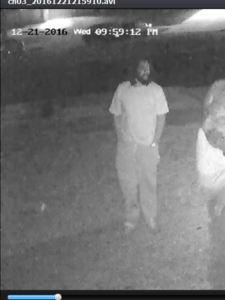 The Killeen Police Department is asking the community for assistance to identify a man who is believed to have involvement in a Homicide. Detectives have received a photo of a black male who is believed to have some involvement in the Homicide of Donte Samuels, on Thursday, December 22, 2016. Samuels was found deceased in the yard of a residence in the 300 block of S. 56th Street. 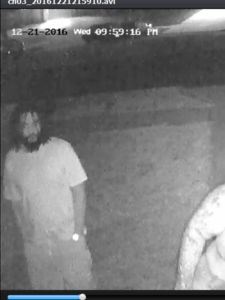 Detectives are asking anyone who can identify the male in the photo to contact Crime Stoppers at 254-526-TIPS (8477) or go online at www.bellcountycrimestoppers.com. You can also download the app P3 tips for IOS and Android phones. All information is anonymous and confidential and if your tip leads to the arrest of the person or persons responsible for this crime, you could be eligible for a reward up to $1,000 in cash.